There are generally four different aspects you need to consider when choosing a Dynabrade random orbital sander. Durability – how heavy-duty is the work you will be using your Dynabrade random orbital sander for? The D3 range of Dynabrade random orbital sanders primarily offer three ranges at different price levels, these being the Dynorbital Spirit, Dynorbital Silver Supreme and Dynorbital Supreme. The lowest tier is the Dynabrade Dynorbital Spirit, which is hands-down one of the best random orbital sanders on the market. Built for less intensive, light-to-medium-duty applications and for users with smaller hands, this sander is ideal for vertical and contoured applications. The Dynabrade Dynorbital Silver Supreme is intended for the middle of the market; incorporating the ergonomics of the Spirit, it offers the perfect combination of supreme power and lightweight comfort. 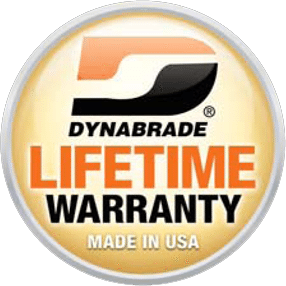 The Dynabrade Dynorbital Supreme is the premium range, offering the best performance and durability; the ergonomics of the aforementioned models have been improved even further, and there are also increased vacuum capabilities. Impressively, the Supreme also maintains the highest RPM in the industry while operating on a work surface. Dust extraction – do you need to extract potentially dangerous dust particles? Dust extraction is becoming more popular due to the improvement in health and safety lesiglation in regards to protecting users from harmful dust. Random orbital sanders offer three different options in regards to dust extraction: non-vacuum, self-generated vacuum and central vacuum. Non-vacuum models offer no extraction at all; any dust which is produced will remain on the work surface and in the air, meaning likely inhalation by the user. Long-term exposure to dust particles produced by working on surfaces such as wood, metals, etc. can result in lung cancer, asthma and even COPD (source: HSE.) It is therefore recommended that customers purchase either self-generated or central vacuum models. Self-generated dust extraction involves attaching a reusable bag to the tool, with dust particles produced during sanding being extracted into the bag. This requires emptying the bag once it is close to capacity but generally protects the user from dust inhalation, as it is extracted as soon as it is produced. Central vacuum is the most efficient option, with the tool being attached to a central vacuum system via a hose and the dust being sucked away similarly to a hoover, offering the most protection to the user. Pad size – how big does your Dynabrade random orbital need to be? Dynabrade Dynorbital Sanders offer pad sizes between 3 – 11″ diameter, with the Spirit, Silver Supreme and Supreme coming in 3 – 6″ varieties. A larger pad size offers a higher surface area, quicker sanding, and in turn, faster job completion. However, a larger pad size is not always the best option; you must also take into consideration the surface on which the sander is likely to be used and whether a smaller diameter would be more beneficial, for example when sanding in intricate grooves and contours where a larger sander would be too bulky. Orbit – how fine is the finish you require? The orbit is the motion the sander produces when in use; a random orbital sander simultaneously spins the abrasive disc and moves it in an ellipse. These “random” movements minimise the chance of sanding over recently sanded areas, and therefore help to prevent the resulting swirl patterns while also leaving a smooth finish. Dynabrade random orbital sanders come in various orbits, but the most common options are 2.5mm, 5mm and 10mm, with a smaller orbit providing a finer finish, while a larger orbit (for example 10mm) will sand more aggressively. There are therefore a variety of different options when choosing a Dynabrade random orbital sander, or any ROS in general, and it essentially comes down to the user, the application and the abrasive – no sander is perfect for every job. However, it is strongly recommended that you purchase a model with some form of dust extraction, as this will improve working conditions for the user and also improve efficiency as considerably less time will be spent cleaning up dust resulting from using a non-vacuum tool. If you would like to enquire about Dynabrade random orbital sanders (or any other Dynabrade product), please call us on 01273 468736 or email us at info@dynashop.co.uk.